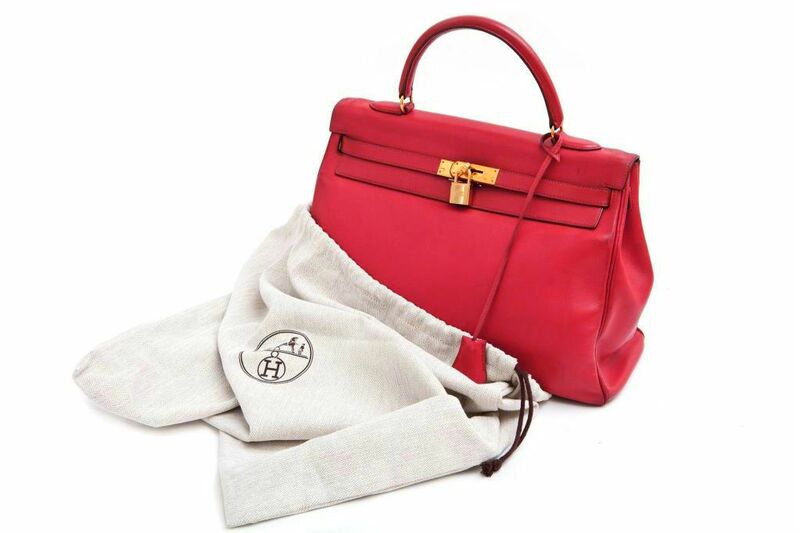 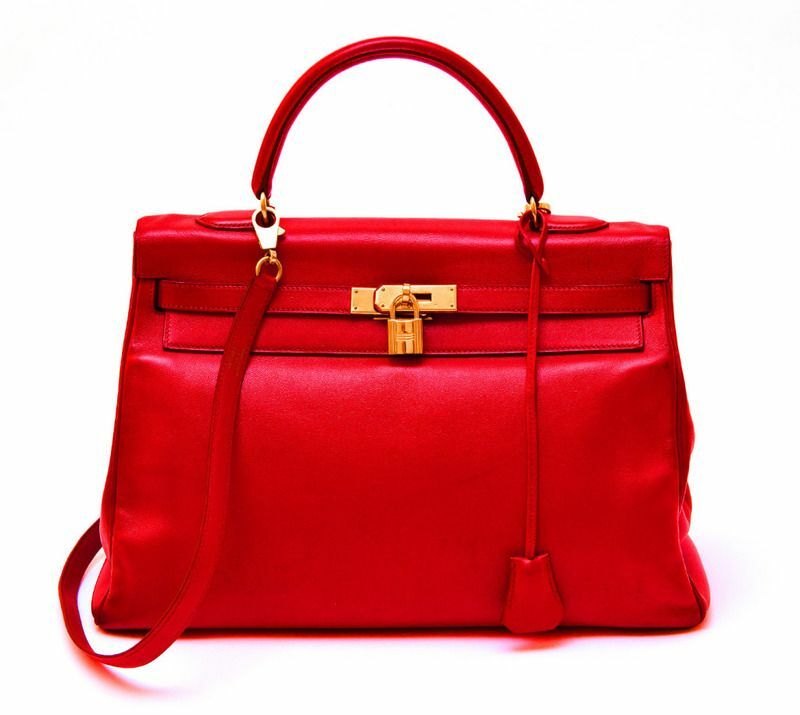 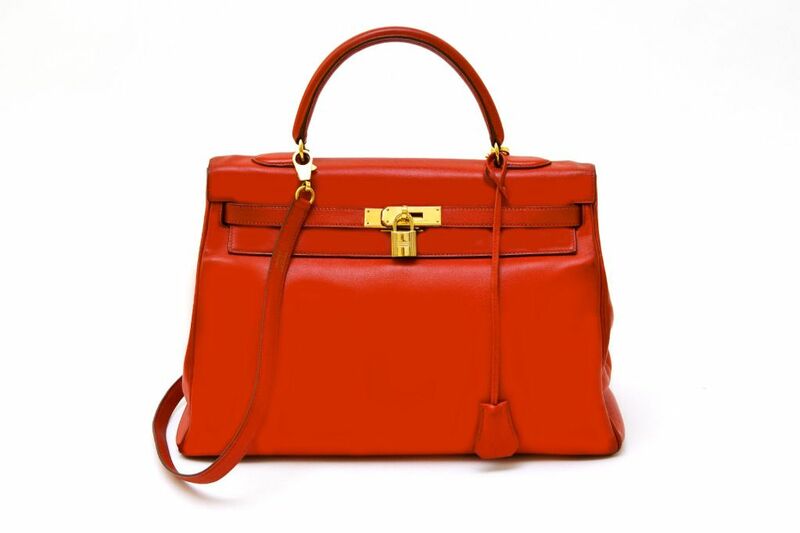 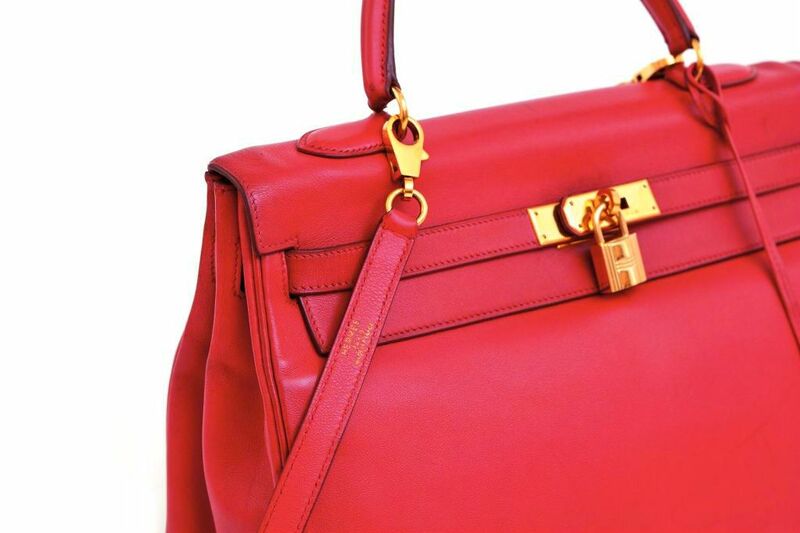 This Kelly bag just came back from the Hermes polishing service and comes with a receipt copy of the Hermes polishing service. 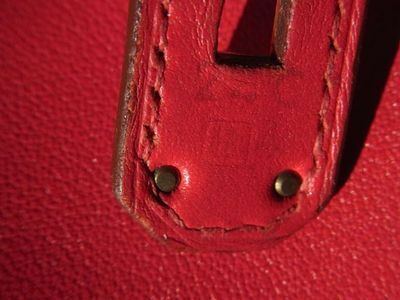 There are some discolorations around bottom corners and slight discoloration on both shoulders and the handle, and there are pen marks and scratch marks on the body. 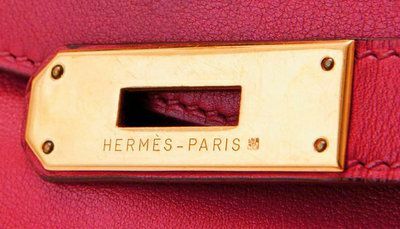 There are some light scratch marks on the metal parts. 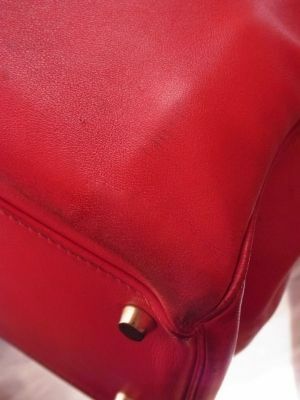 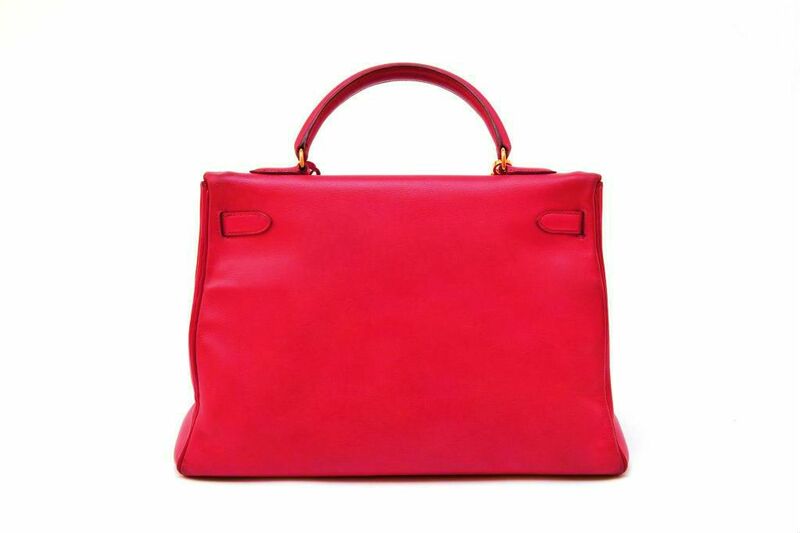 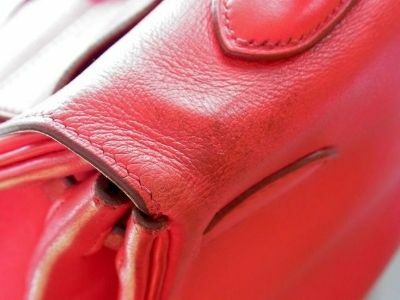 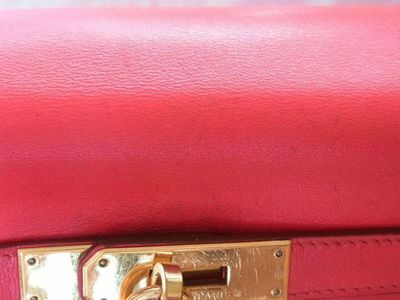 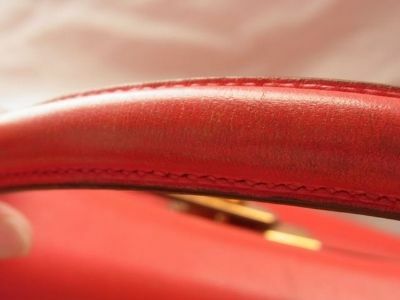 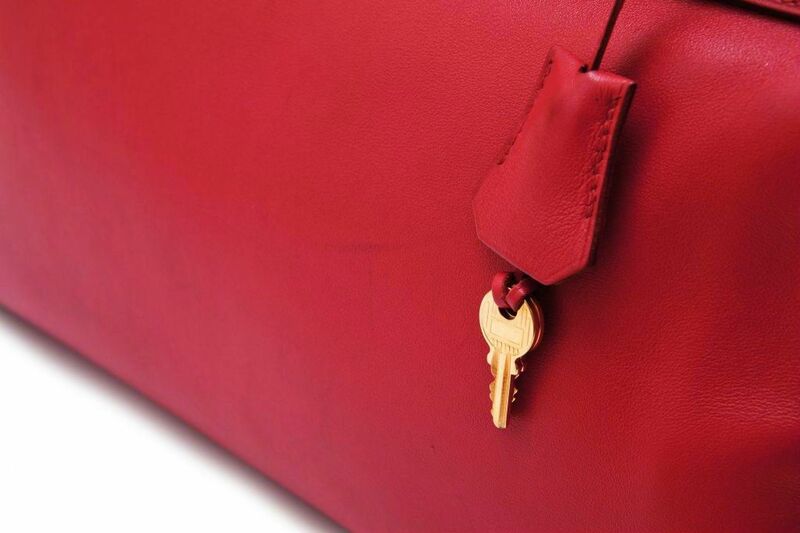 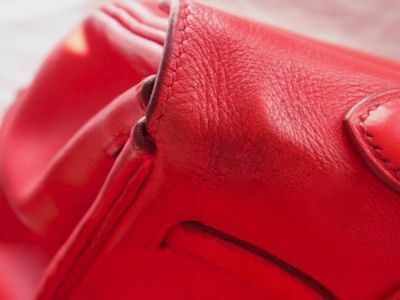 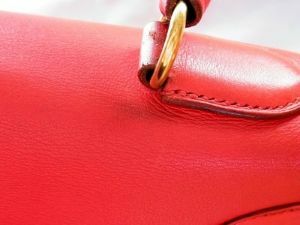 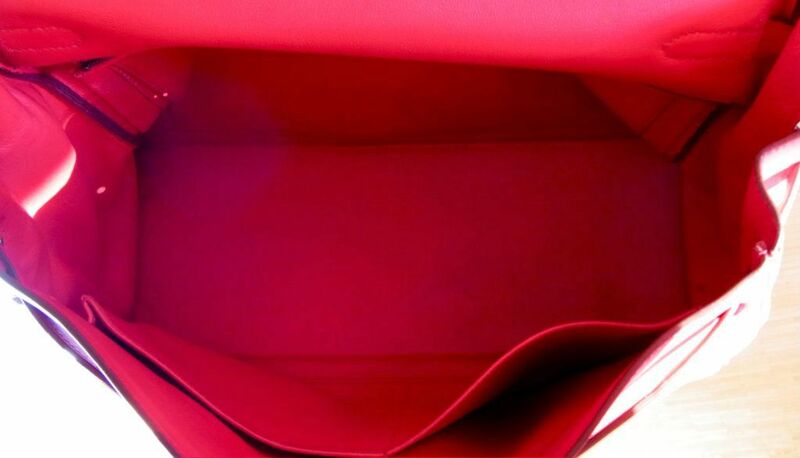 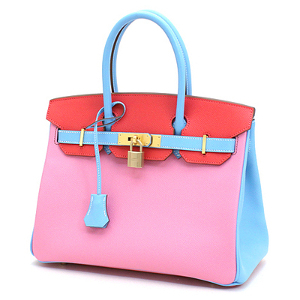 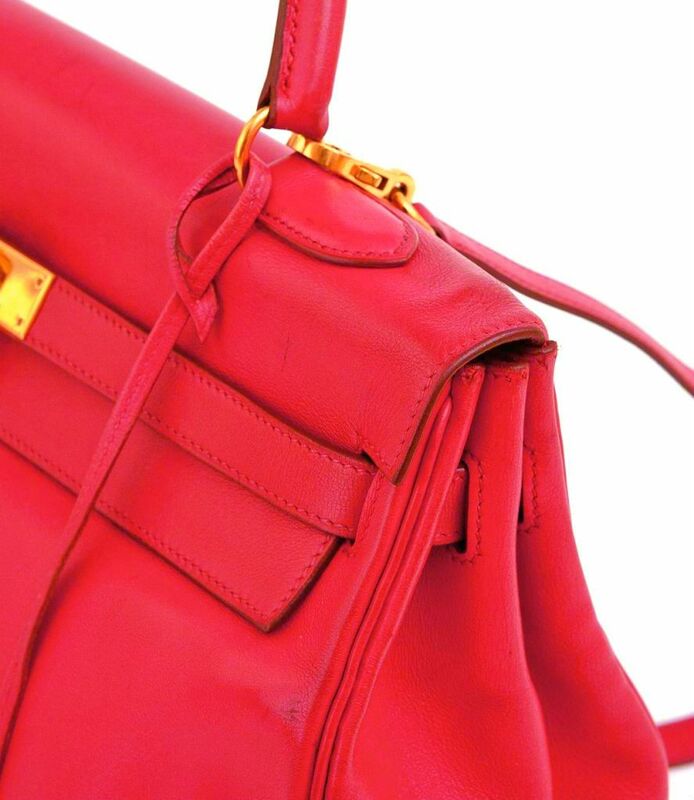 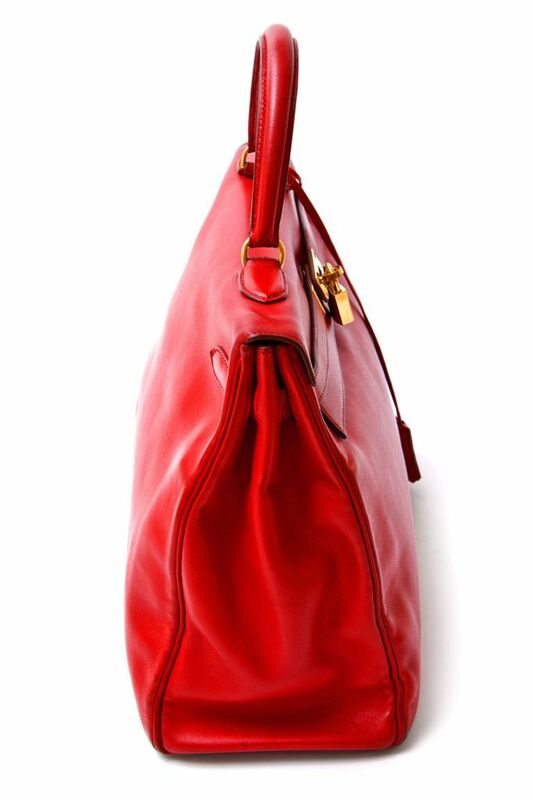 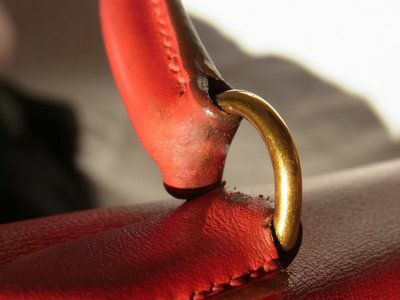 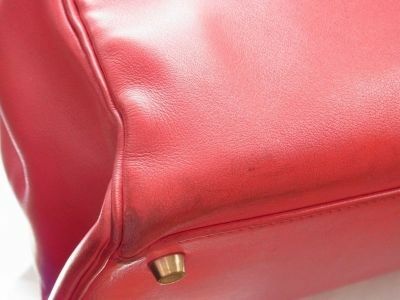 Due to the softness of the Gulliver leather, the bag is slightly supple. 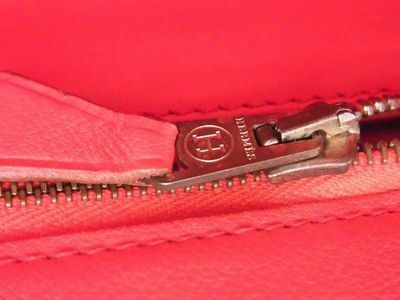 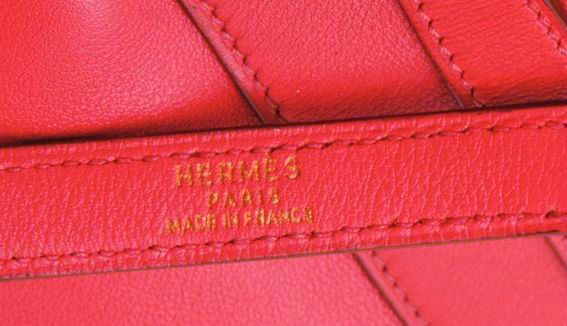 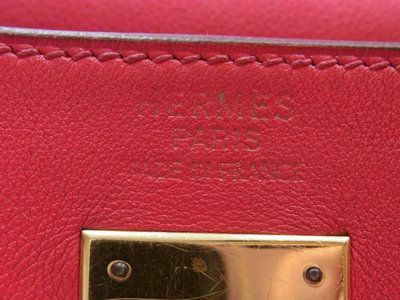 Hermes Made in France logo in the centre of the bag has partially faded. 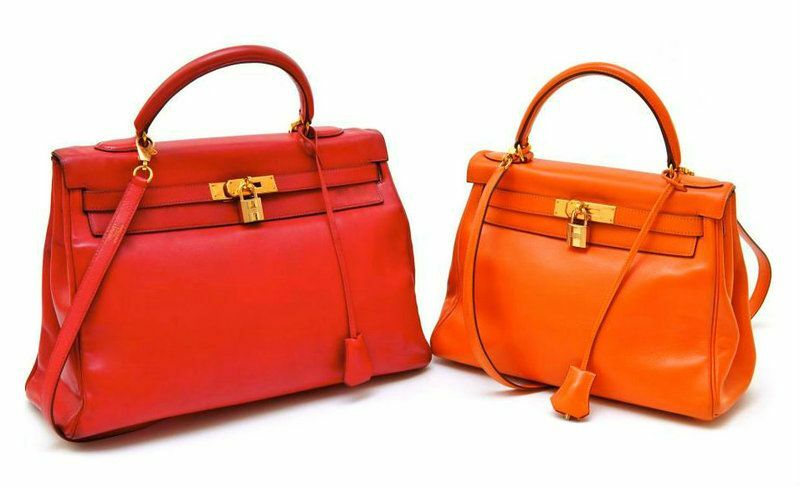 Below picture is comparing the sizes of Kelly bag in 35cm & 28cm. 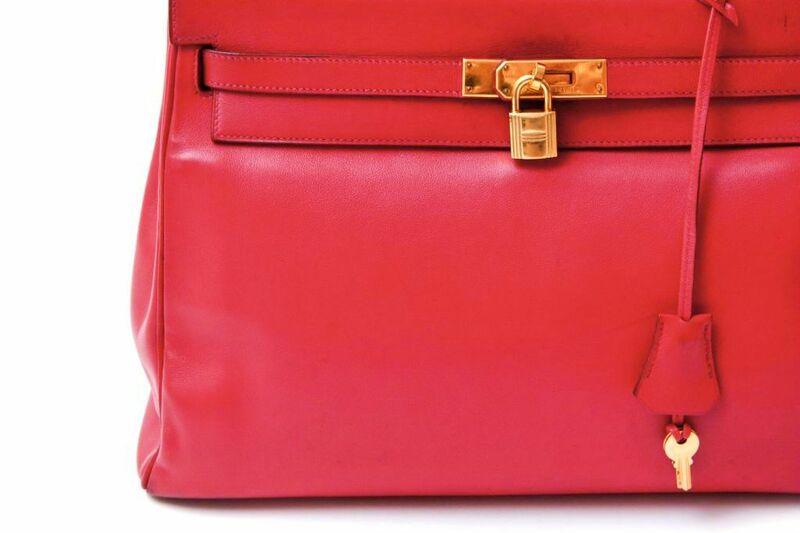 The Kelly 35cm is very big compared to the 28cm one.